Providing training in data intensive computing using the Open Science Data Cloud. Presentations from the 2015 Amsterdam workshop. 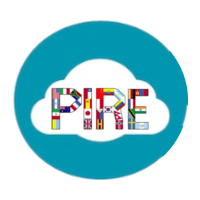 Information about the upcoming annual workshop on data intensive and cloud computing for PIRE fellows to be held at the University of Amsterdam. We've uploaded the presentations given at the 2014 Amsterdam workshop. Information about the one week workshop on data intensive and cloud computing held at the University of Amsterdam. OSDC PIRE is supported by NSF Award #1129076. © 2016 Open Science Data Cloud PIRE. Any opinions, findings, and conclusions or recommendations expressed in OSDC materials are those of the author(s) and do not necessarily reflect the views of the National Science Foundation.